Well, actually the Cicadas have been out for 5 or 6 weeks now and are past peak. 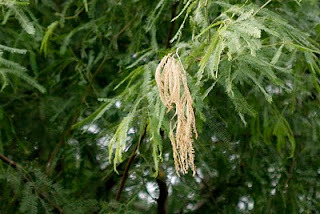 Cicadas are best known in Arizona for "appearing" around the time the Monsoon season starts, and some believe this coincidence to be an indicator for when the monsoons will begin. There are dozens of cicadas native to the USA, and several are native to Arizona. From what I've read, the Diceroprocta Semicincta is the most common in the low deserts of south central Arizona. If this posting has piqued your interest, you make take note of this site that I found while researching this post: Cicada Mania. 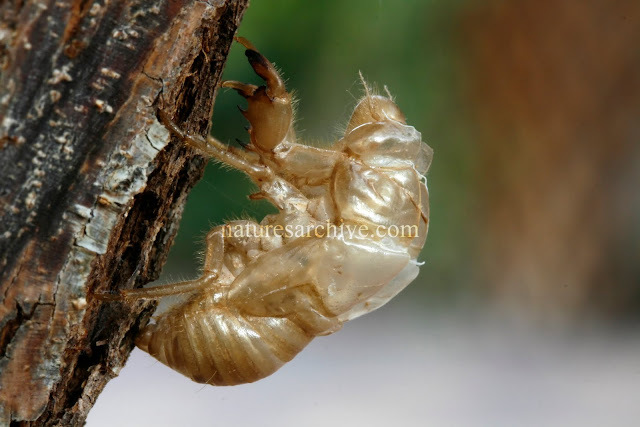 One last note - the Cicada exoskeleton picture above is posted in full-size on Nature's Archive in the "Nature Up Close" section. Mike, This is something that was just part of life when you are a kid but now I want to know and I thank you!